Just a few weeks ago, Mercedes-Benz barged into the automotive world with news of a pickup as a mysterious but enticing future model from the German brand. Rumors of a possible collaboration with Nissan followed, but Renault-Nissan Alliance CEO Carlos Ghosn refused to give any clear details. That speculation is now over, because the automakers made their truck partnership official. This new information reveals that the Mercedes truck won’t be a full in-house creation from Daimler. For example, the pickup will share some of its underpinnings with the latest Nissan NP300 Navara. The German company’s engineers, however, will work to change the design to their liking. 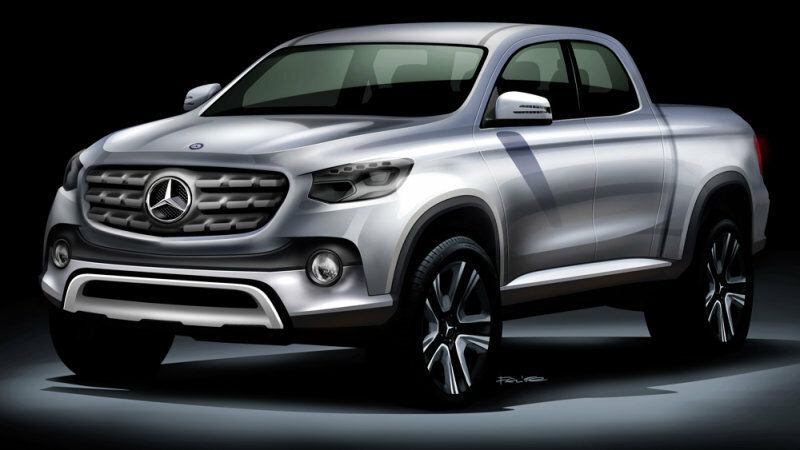 Also, as in the rendering, Mercedes will use a double-cab body for the model. “Thanks to our well-established partnership with the Renault-Nissan Alliance, we are able to drastically reduce the time and cost to enter this key segment.” Daimler Chairman Dr. Dieter Zetsche said in the company’s release. Nissan will play a further major role in the project by helping Renault develop a pickup based on the Navara as well. By 2020, all three trucks will be built together in Cordoba, Argentina, for Latin American markets and in Barcelona, Spain, for other parts of the world. Mercedes will target both regular customers and commercial buyers with its truck. While still not officially slated for North America, there’s a chance that the Mercedes truck might be sold here. The US arm of the company reportedly has until the end of the year to decide to offer it with some added luxury-oriented upgrades compared to the rest of the world.